The non-fiction in ‘Uncanny Magazine’ usually consists of essays complaining about the lack of one-legged Mexican lesbian heroes in films because of the white Anglo-Saxon phallocentric conspiracy that controls the media or about how difficult it is to be a ‘Star Wars’ fan if you have a big nose. Murphy’s review is still available as screenshots in Sarah Gailey’s Twitter feed. Here is the shamefully hateful SF Crows Nest review of Uncanny 14. Jim C. Hines answered with what I’d call a fisk of Murphy’s review (although Hines doesn’t). Not only does Mr. Murphy start frothing at the mouth when a story includes a queer or trans character or talks about tolerance, he keeps frothing even when he thinks the story isn’t about those things. We’re talking about a man set to permanent froth, a cross between malfunctioning espresso machine and a dog who ate too much toothpaste and shat all over your carpet. This shot was a year in the making. That’s the Milky Way galaxy appearing as if it’s erupting out of the Mount Rainier volcano, with the headlamps of climbers on their way to the summit. …Once I acquired a good camera from a friend I began tracking the phases of the moon and waiting for that once-a-month new moon when the skies would be darkest. I tracked satellite images of where light pollution was located, tracked weather patterns, and waited for a clear enough sky to perfectly align with the new moon. I also scouted locations for the exact time and placement in the sky of the core of the Milky Way relative to where I would be hiking. I experienced a lot of trial and error, but finally the ideal location, weather and moon phase all lined up perfectly for a galactic eruption. (3) FLAME ON. 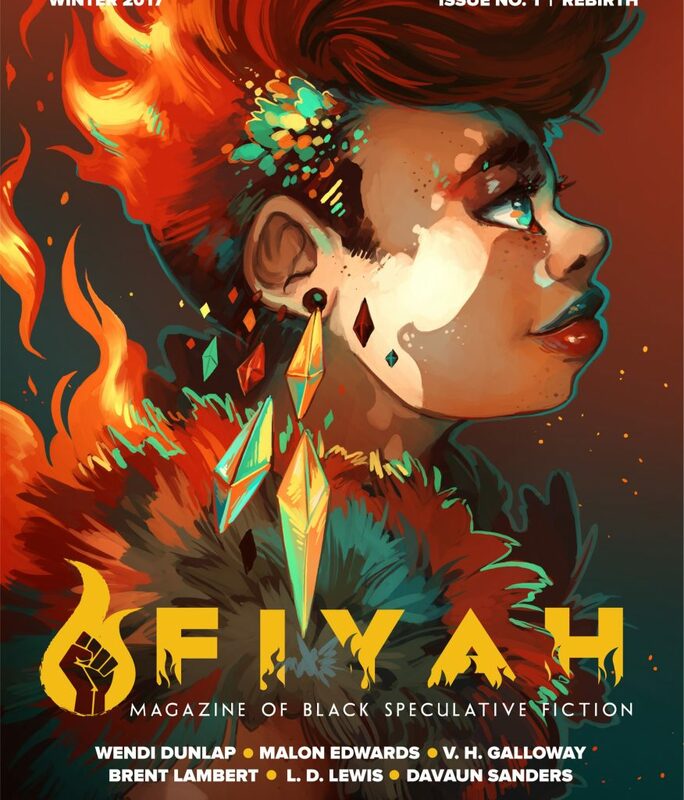 Launched this month — Fiyah Magazine of black speculative fiction. P. Djeli Clark tells the history behind the magazine and the significance of its title in “The FIYAH This Time”. Excerpts from the stories in the first issue are available online. The official call for candidates goes out January 15, administered by our able Elections Commissioner, Fran Wilde and that’s when we open up the section of our discussion boards where people can post their platforms and answer the inevitably lively “Ask the Candidates” thread. This year the election will be for President, Secretary, and a couple of Director positions. …File770 readers who are SFWA members who’ve never been on the board might want to think about running for Director at Large. The team is super, the organization is moving towards doing some cool stuff, and it’s a great way to pay things forward. Talon of God, by Wesley Snipes and Ray Norman (July 25) It’s one thing to hear that Wesley Snipes (yes, that Wesley Snipes!) has written a novel. It’s another thing to find out that it’s one of the best new urban fantasies you’ve read in a long time. Beyond its star appeal and great angels versus demons mythos, the thing that Wesley and Ray Norman do that really drew me in was give us some powerful black heroes at a time when the call for diversity has never been higher—or more necessary. 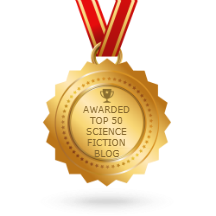 (6) SHORT FICTION ROUNDUP. The “Tangent Online 2016 Recommended Reading List” contains 379 stories — 296 short stories, 65 novelettes, and 18 novellas. Jason Sanford created a scoreboard showing how many stories various SFF publishers placed on the list. By now virtually everyone in ABAA knows about how Easton Press is no longer shipping autographed books to California. To see this for yourself, just go to the Easton Press website and click on a specific autographed item for sale. Sorry, this product cannot ship to California. No explanation for this is given on the website. Scott Brown reports that Easton Press won’t confirm it has anything to do with the new California law. But what else could it be? No one in California can buy an autographed book from Easton Press any more! Easton Press is currently offering 127 signed items. Born January 4, 1785 — German folklore and fairy tale collector Jacob Grimm. (10) LE GUIN FELLOWSHIP. Theodora Goss announced she is one of two recipients of a Le Guin Feminist Science Fiction Fellowship. The fellowship will pay for her to travel to Le Guin’s archives at the University of Oregon so she can research the Le Guin book she’s writing for University of Illinois Press. I contacted the University of Oregon to ask who is the second recipient and have not had a reply. We’re starting to get some notice. Cory Doctorow picked up on our posting of the mid-80s fannish mystery “FAANS” to the FANAC Youtube channel, and wrote about it for BoingBoing.net. The MAC Video Archeology Project contributed some choice pieces of 1976 video, including a truly entertaining interview with Alfred Bester. The interview has had more than 700 views and FAANs is up over 400. FANAC.ORG website: Our Newszine History Project is still going strong. Since our last update, we have added 200 new issues. We still have 100s more to do and could certainly use some help with missing issues. We’re not ignoring the rest of the fan publishing world though – we’re adding some choice fanzine titles, like Greg Benford and Ted White’s 1950s VOID and Dave Kyle’s 1930s Fantasy World (credited with being one of the first comics fanzines). I remember a conversation we’ll have when you’re in your junior year of high school. It’ll be Sunday morning, and I’ll be scrambling some eggs…. I remember once when we’ll be driving to the mall to buy some new clothes for you. You’ll be thirteen. (13) SMALL BUT LOUD. Astronomers have pinpointed the location of an enigmatic celestial object that spits out brief, but powerful, blasts of radio waves. Nature says the mysterious cosmic radio blasts have been traced to a surprising source. ”The host galaxy is puny,” says team member Shriharsh Tendulkar, an astronomer at McGill University in Montreal, Canada. “That’s weird.” With fewer stars than many galaxies, dwarf galaxies would seem to have less of a chance of hosting whatever creates fast radio bursts. That would include neutron stars, one of the leading candidates for the source of fast radio bursts. What would you do for your best friend? The 13-minute video follows Solo, yet again being confronted for one of his smuggling antics — but at least this time he’s got a very precise mission in mind. Chewbacca has been captured, and he needs a valuable item to make the trade.